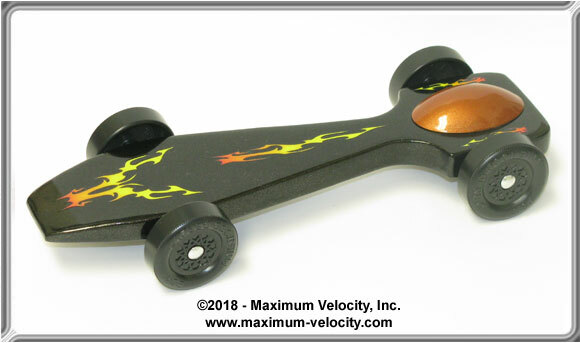 The SuperCuda Pinewood Derby Kit includes a pre-shaped body with axle slots or axle holes, weight pockets, a 2.5 ounce Tungsten Canopy, tungsten trim weight, and instructions. Wheels and axles are not included, so use the wheels and axles supplied by your club or order them separately. The SuperCuda is low, sleek and fast. 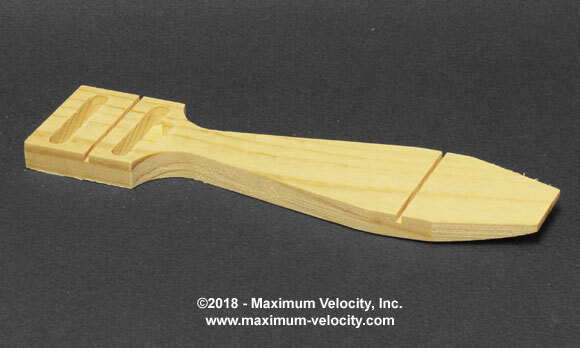 The evolution of our Barracuda pinewood derby kit, the SuperCuda uses a Tungsten Canopy and tungsten trim weight to attain a very aggressive COG. 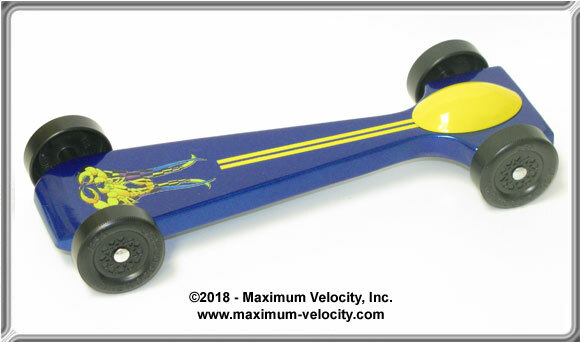 Low and sleek, the SuperCuda pinewood derby kit soars down the track, producing top results. 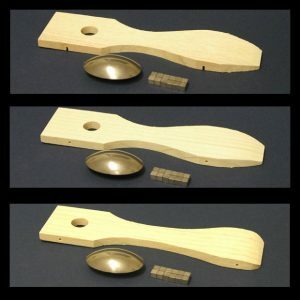 The SuperCuda Kit includes a pre-cut and drilled pine block, tungsten round, trim weight, and instructions. Weight pockets are located under the car for fine tuning. 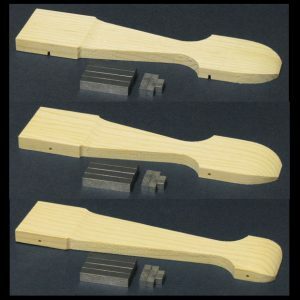 Wheels and axles are not included, so use the wheels and axles supplied by your club or order them separately. 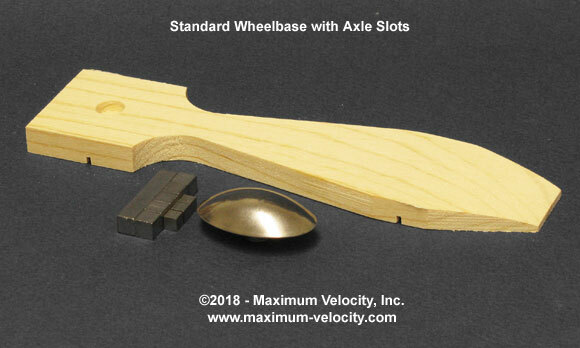 5628 - Standard Wheel Base - Axle Slots: Precision-cut axle slots that match BSA specifications in placement, depth, and width. 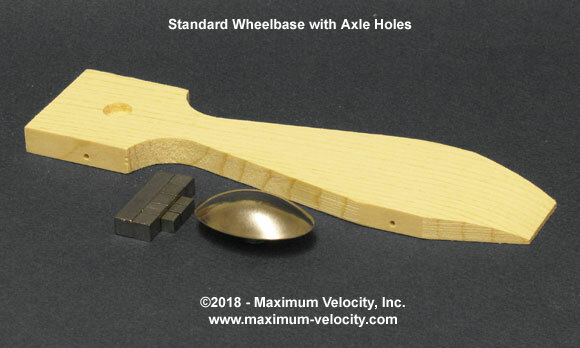 5629 - Standard Wheel Base - Axle Holes: Precision-drilled axle holes that match BSA specifications for placement. 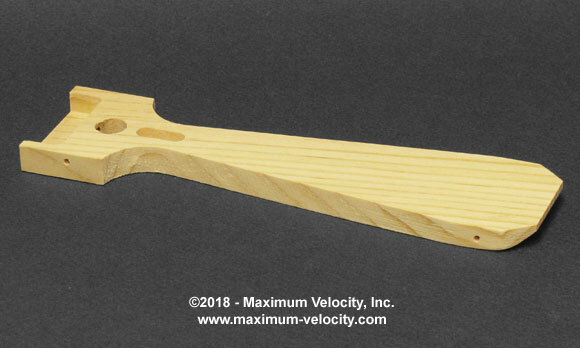 The holes are drilled with a #44 bit (fits BSA axles). One front axle hole is slightly raised so that the car will ride on three wheels (best performance). 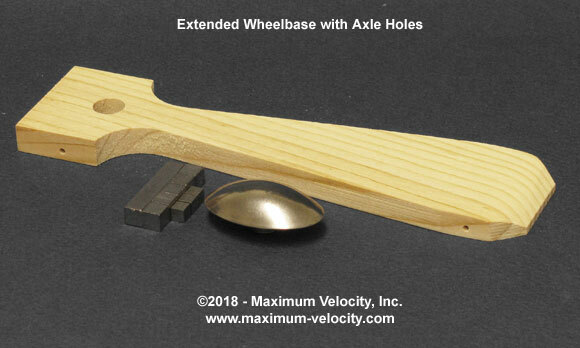 5630 - Extended Wheel Base: Precision-drilled axle holes located at an extended position. 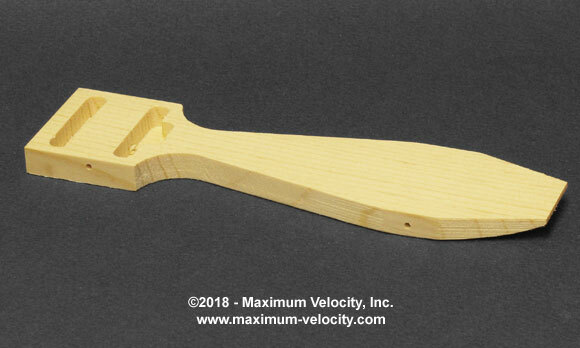 The holes are drilled with a #44 bit (fits BSA axles). One front axle hole is slightly raised so that the car will ride on three wheels (best performance). 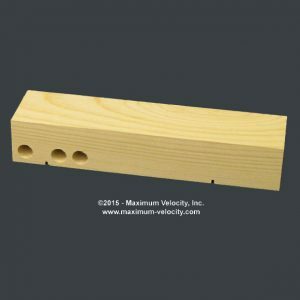 5629, 5630 - Drilled axle holes, 4 wheels on the ground - add $1.00. 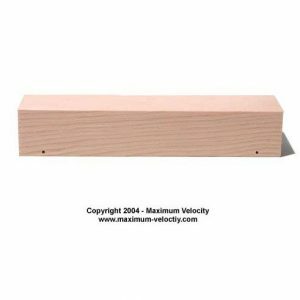 5629, 5630 - Drilled axle holes for Awana axles (3/32" bit) - add $1.00. 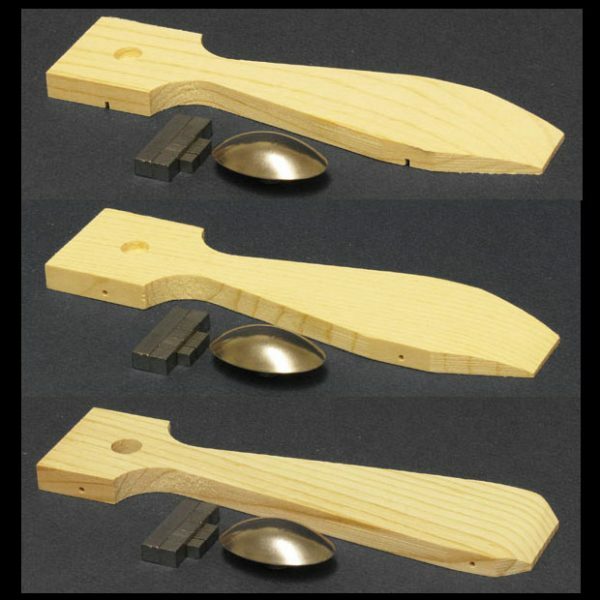 Turn your Pinewood Derby Car into this!